It takes a team to restore Elisabeth Chaplin's art at the Pitti Palace. The painting depicts an evening scene featuring Yvette, Elisabeth and Nenette Chaplin. Dated 1912, it was presented together with additional works by Chaplin during a Florentine exhibit. At its presentation the series received the Gold Medal and ample acclaim from critics for the 20-year-old artist. 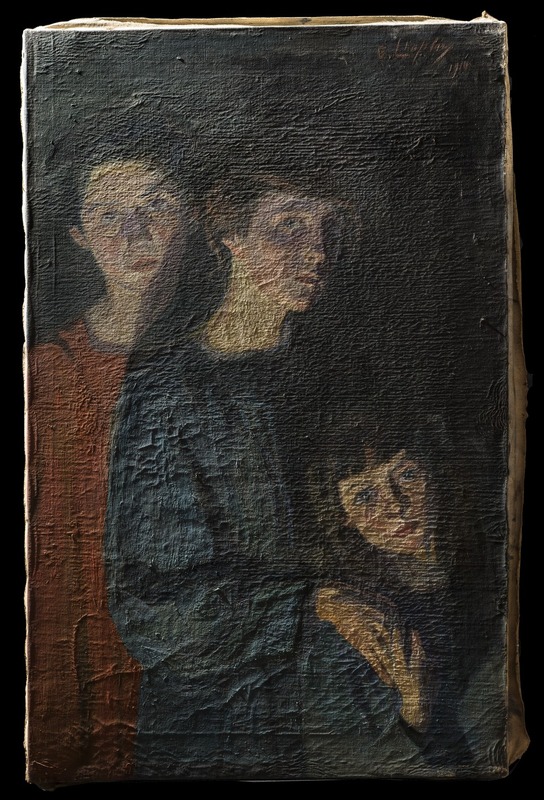 The AWA restoration, led by the Modern Art Gallery’s director Dr. Simonella Condemi and vice director Alessandra Griffo, was carried out by Florentine restoration artist Rossella Lari.